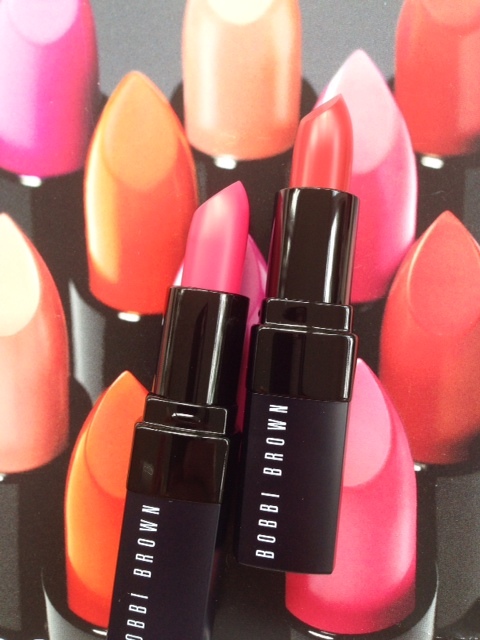 It’s time for Dior Summer 2014 Swatches – I have a selection of the summer collection to show. It’s ropey for all the right reasons! I’m covering eyes and nails in this post and lips and complexion in a second one. 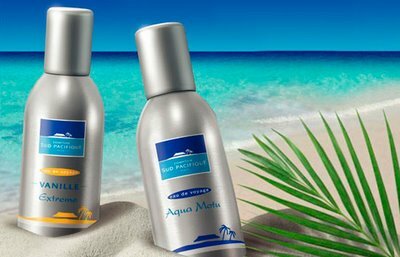 First up, the 5 Couleurs Transat Edition in Sundeck – much more wearable and easy on the skin tone than the blue-hued Transat palette used in the main picture, above. 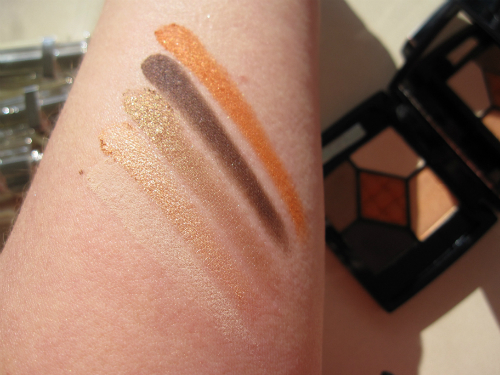 Sand and orange are easy bedfellows – and this orange is wearable, even if you think you can’t wear orange on your lids. 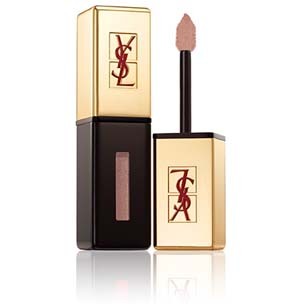 The gold shade is very gold and aside from the palest shade and the deep brown shade, there’s plenty of shimmer on all the colours. I’d happily wear this all summer long. I don’t have the blue palette to swatch but it’s mega blue – a very strong look that’s more of a moment in time than the enduring appeal of Sundeck which will easily carry over to autumn and winter. 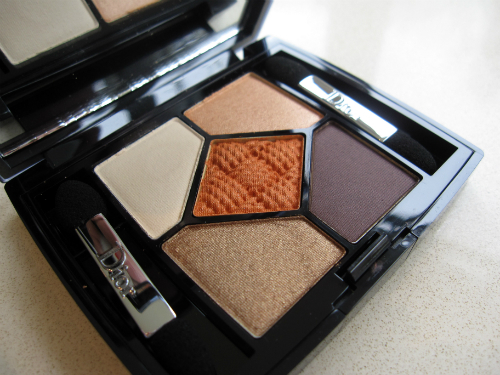 The palettes are £41 each. 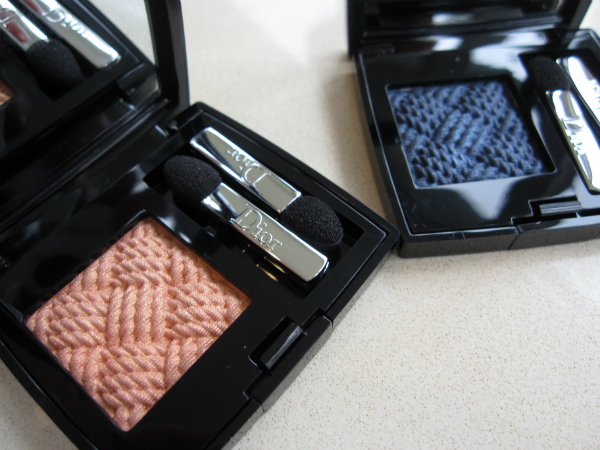 The Diorshow Monos in Cabine (blue) and Pavillion (peach) are a much better bet if you’re going the blue route – they’re simple, pretty and shimmery (but not high glitter) – that’s if you can bear to disrupt the rope design! 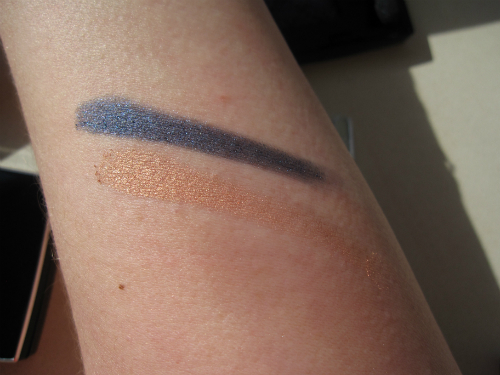 Both shades catch the light easily; the peachy glimmer of Pavillion is my favourite although I love a dark blue shadow so will definitely be experimenting with Cabine. They’re £23 each. While the colours of the Transat collection are fabulous, the sticker aspect is rather disappointing. I’m quite good at nail wraps but could not get an even finish with these. They’re slightly too thick and not pliable enough to be able to get a completely smooth finish, so if you’re buying into these, you’re buying the colour because the stickers (and there’s only one set of ten anyway) just don’t do what they are intended to. But, let me at the colours! Captain is the most vibrant red – lots of orange in this, Yacht is a creamy beige and Sailor – well, Sailor is SO blue on the nail! 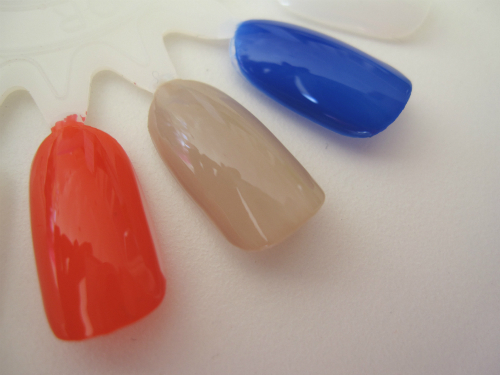 It’s a very clean blue as well – you would definitely need two coats, if not three to get the full depth. They’re £22 each. 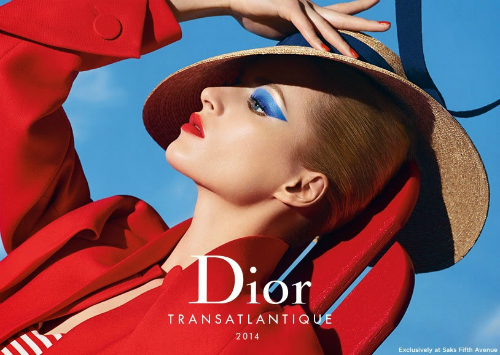 The last of the Dior Summer 2014 Swatches for eyes and nails is the Diorshow Ionic Overcurl formula is Cruise Blue – there’s also a Diorshow Art Pen also in Cruise blue for elongated, graphic lines on the lids – hope you’re good at lines! 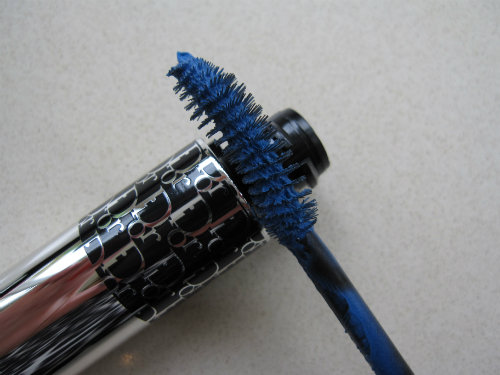 I like Cruise Blue mascara for a nod at the blue trend for those who can’t carry off the power-blue looks (i.e. me!). It’s £23. 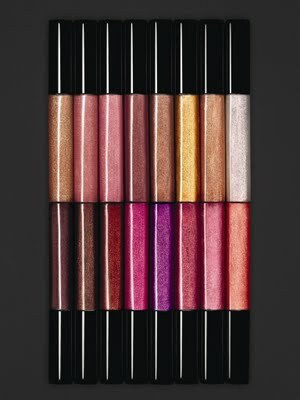 I dont even know where to start with how stunning this collection is!